Celebrating Kwanzaa was not a ritual practiced by my family; in fact, I had no idea what Kwanzaa meant. While obtaining my degree in Africana Studies from NCSU, I learned all about the African Diaspora, as well as the symbols and principles of Kwanzaa. Since graduating, I’ve been inspired to enlighten others (young and old) about the African Diaspora and the meaning of Kwanzaa. Although a lot of the Black Americans I’ve spoken with do not celebrate Kwanzaa in its traditional sense, some of them, without recognizing, are practicing its principals every day. 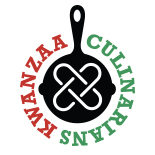 I utilize the Kwanzaa principle “Kuumba” (Creativity) daily, as well as during Kwanzaa. It’s the most significant, not the most important, for my goals in life. I’ve lived in a predominately low-income section of Southeast Raleigh, NC for the majority of my life, and I realize how important the Kwanzaa principles are for any dismal community; however, Kuumba uplifts and maintains the beautification a community. My organization, Sistahs of the Soul Unite, provides positive self-esteem for adolescent and adult Black women in the area. Our yearly Kuumba community involvement is baking and passing out chocolate chip cookies to the local senior citizens and hospice patients who live in these communities. The organization is divided into two sections; women and adolescents. The sections of women divide into groups and bake the cookies (using my quick and simple chocolate chip cookie recipe). The adolescent girls are responsible for the packaging of the cookies and the creation of the cookie gift boxes representing both Christmas and Kwanzaa traditions. With politics, economy, deteriorating health, and the pressures of living in poverty, our holiday cookie gifts put smiles on their gloomy faces. We like to think it creatively demonstrates our appreciation for the elderly, as well as deliver them with a sense of hope for human kind. The positive impact of our cookie gifts flabbergasted the youth members, the smiles on each face was priceless, and the progressive effect it’s placed on the community is how we celebrate Kuumba during Kwanzaa. Create a theme during Kwanzaa to help uplift and build a more positive and productive community. Merry Christmas and Happy Kwanzaa… Kuumba! 1. Preheat oven to 375°F. Prepare baking sheets by spraying lightly with Pam. 3. Bake cookies, two baking sheets at a time. After 5 minutes take cookies out of the oven and rap on the stovetop until they deflate. Then return sheets to oven, placing the top sheet on the bottom rack, and the bottom sheet on the top rack. Continue to bake until cookies are golden brown, 4-6 more minutes. 4. Transfer immediately from cookie sheet to wire rack for cooling. This entry was posted on December 31, 2011 by Bren Herrera in 2011, Kuumba, Recipe and tagged baking, chocolate chip cookies, dessert, Edible Black Culture, Gift, gift boxes, Kuumba, LaTonya Tinsley.